Cris Bolado didn't exactly have a stellar PBA career. He played for nine seasons in the league, suiting up for six different teams, which made him a venerable journeyman. He didn't have outstanding numbers—averaging single digits in both scoring and rebounding. The man called 'Jumbo' came off the bench either as the second or third man in the center rotation—not exactly a compliment in a league that has a dearth of big men. When word got out that Bolado passed away yesterday from a motorcycle accident in Phnom Penh, Cambodia at a young age of 47, fans took to social media to offer their sympathies and express sorrow for the loss. While it may have helped console his family, many wonder how the 6'7" big guy established such mainstream recognition. Bigger names who have recently passed on—the likes of Estoy Estrada, Gido Babilonia, Big Boy Reynoso—didn't get the same attention as Bolado's passing. 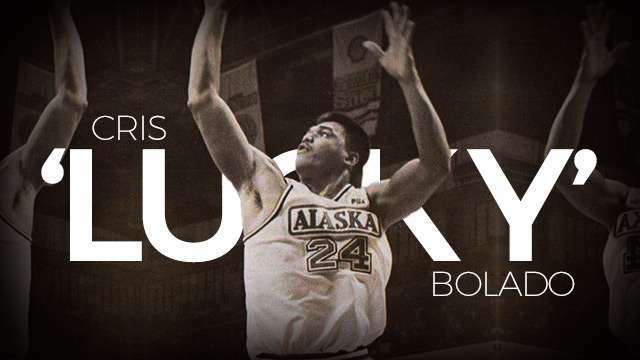 When Bolado ended his collegiate career with the National University Bulldogs, he hopped into the 1994 PBA Draft and was selected in the second round, 13th overall, by Tim Cone and the Alaska Aces. With his height and heft, he was an imposing presence at the then-Hyatt Hotel along Roxas Boulevard where the draft was held. He already made people turn heads simply because of his size. Curiously, when Bolado joined the Aces, the fortunes of the franchise magically turned around. In only his second conference in the league, he experienced his first Finals stint in the 1994 Commissioner's Cup, losing to eventual champions, the Kenny Redfield-led Purefoods TJ Hotdogs, 4-1. From thereon, Bolado found himself in the Finals nine consecutive times, moving to two different teams along the way, until capping it off with the 1997 Commissioner's Cup championship. Ten straight Finals appearances—an all-time PBA record not even the historic Crispa Redmanizers or Toyota Tamaraws players in the '70s achieved. Even his Alaska teammates, whom he won a Grand Slam with in 1996, weren't able to accomplish this feat. How he made this possible can be described as pure luck—better yet, Bolado brought it to his teams. Prior to the start of the 1997 season, in the aftermath of their historic run, the Aces traded him to Purefoods for sophomore Rodney Santos, as the Cowboys needed a big man to relieve Jerry Codiñera. In his first conference with the then-Ayala franchise, Bolado helped the team win the All-Flipino title at the expense of the Gordon's Gin Boars. The Boars couldn't find an answer against the bigs of Purefoods, as 7'1" EJ Feihl decided not to accept the contract renewal offer sheet and returned to the PBL. Pre-Commissioner's Cup, Feihl was traded to Purefoods for, yes, Bolado, amid much fanfare. And true to his reputation, Bolado lived up to his being a lucky charm, helping Gordon's Gin win the conference, at the expense of his former team. That was Bolado's sixth consecutive title, a feat matched only by the Crispa players from 1975 to 1977. This earned him the 'Lucky' moniker. Bolado eventually moved to different teams—SMB, Red Bull, and Pop Cola/Coke—where he continued his winning ways, picking up four more titles along the way. 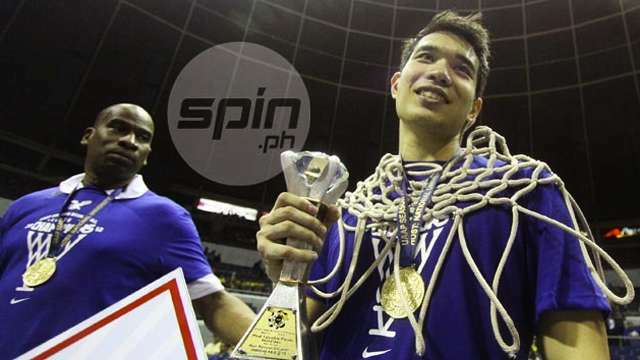 In total, Bolado won 11 rings with four different teams in just 10 seasons, more than Danny Ildefonso, Alvin Patrimonio, Danny Seigle, Benjie Paras, Jerry Codiñera, Samboy Lim, and other established superstars—a testament to the good fortune he brings to his mother teams. He may not have earned superstar status during his enriching PBA career, but he will forever be remembered with fondness and respect by fans.